If you live in the South, than you know about the oldest quick service restaurant chain, Krystal's. The Krystal Company is turning 84 and you’re invited to the party! As one of the oldest fast food chains in the south, 84 years is something to honor, and that is why this year Krystal is putting their customers in the driver’s seat (literally) by giving away a 2016 Kia Soul and offering their signature Krystal burger for only 50 cents! About The Krystal Company Founded in Chattanooga, Tennessee, in 1932, The Krystal Company is the oldest quick service restaurant chain in the South. Its hamburgers are still served fresh and hot off the grill on the iconic square bun at more than 350 restaurants in 11 states. Krystal’s Atlanta-based Restaurant Support Center serves a team of 6,000 employees. For more information, visit http://www.Krystal.com or follow the brand on Facebook, Twitter, and Instagram. Enter to WIN! One VERY LUCKY Nanny to Mommy reader will win a Krystal's special prize pack which includes the following: an air freshener, car shade, key chain, steam box coupon and Krystal boxes! Entry is simple, just follow the prompts on the Rafflecopter below. Open US/Can only, must be 18+ to enter. Winner chosen via Random.org through Rafflecopter. All winning entries are verified. Please follow us on Facebook to stay up to date with our current giveaways. Good luck! Thank you for stopping by the Fall Fun giveaway hop hosted by The Anti-June Cleaver and Our Piece of Earth. Fall is officially here and it's time to celebrate! We have teamed up with an amazing group of bloggers to bring you a variety of prizes to make your fall fun! After you have entered a giveaway visit the linky at the bottom of each post to visit the other blogs for more great prizes. I received complimentary products to provide this post. All opinions are my own. Facebook, Twitter, Pinterest and any other social media are not affiliated with this giveaway. This giveaway is sponsored by Krystal's. Nanny to Mommy and participating "Fall Fun Giveaway Hop" bloggers are not responsible for sponsors who do not fulfill prize obligations. This giveaway is open US/Can only, must be 18+ to enter. One entry per household/IP address. No social media was involved in this giveaway in any way. Winner is chosen via Random.org through Rafflecopter. ALL winning entries ARE verified. Winner will have 48 hours to respond with all information in email or another winner will be chosen. If you would like to see your product featured on our blog or sponsor a giveaway event, please contact us. We love Krystal burger, the Krystal chicks are my favorite! I used to work at a Krystals in Dothan, AL! I love all the stuff in the prize. 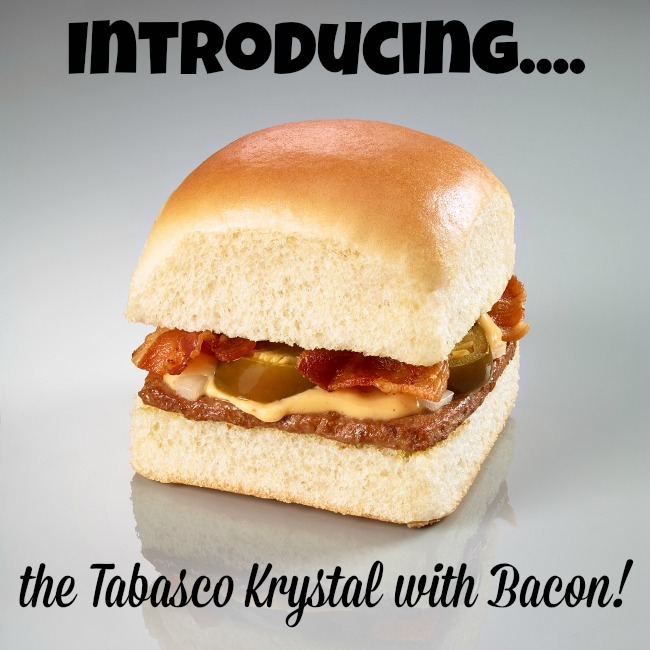 I want to win because Krystal's is delicious! Because the prizes are awesome! My grandkids love Krystal burgers, so we could have a picnic. They are good. Not too expensive. Doesn't cost a lot to buy a bag full. They are good and don't cost a lot.Buy a bag full for not much money. We love eating at Krystal's and go there often to eat. I would like to win. I think that this would be fun to have. They have great food! I want to win because I like the food. Because we love eating at Krystal's. When out of town family come for a visit they all want to go there too.